It’s been almost a year since my last post on the blog. I guess my 3 – 4 readers can live with that, but I have missed putting words to some of my experiences during the last few months. I start with the trip to China with Norsk Taiji Senter during the Easter Holiday this year. This post will cover the first few days of the trip. We arrived in the city of Chengdu in the late afternoon of March 27th after almost 20 hours in the air and waiting at airports. We stayed in Chengdu a day and a half to relax a bit after the long trip. We met up with one of the local Taiji masters, but I’ll get back to him later. 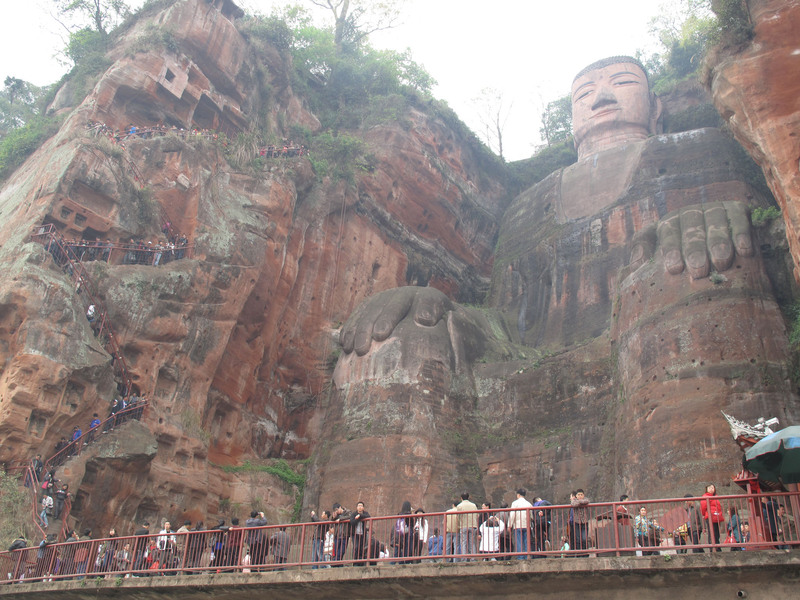 The first shot is from the “Leshan Giant Buddha“. 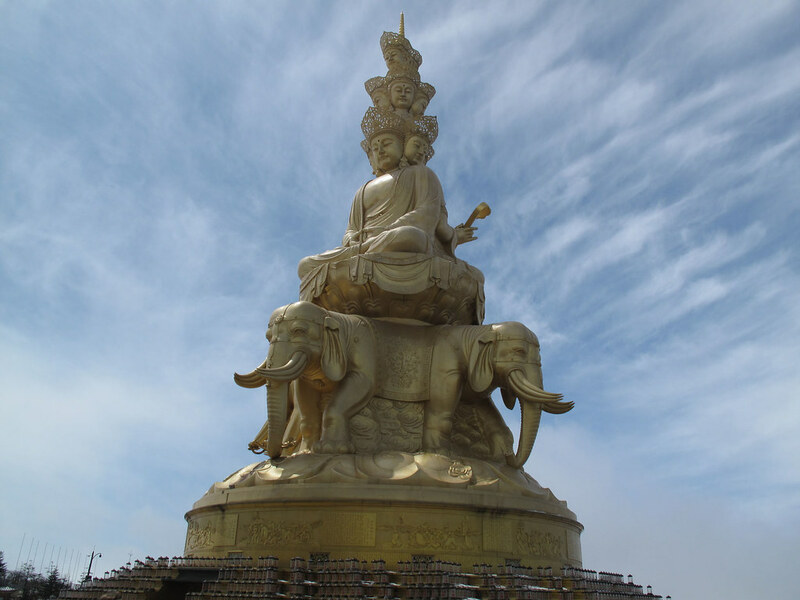 This is one of the largest Buddha statues in the world and was carved into the rock from 713 to 803. After Leshan, we went on to Emeishan. The summit is at 3100 meters above sea level, and the way up there is an experience in itself. Cars and ordinary buses are not allowed to drive up there. Only special buses with locally trained drivers are permitted to use the road up towards the gondola that will bring you to the summit. When the bus stops you still have about 40 minutes walk up the mountain to before you can enter the gondola. We were warned about carrying food in plastic bags or in anyway visible. All bags and pockets should be kept closed. 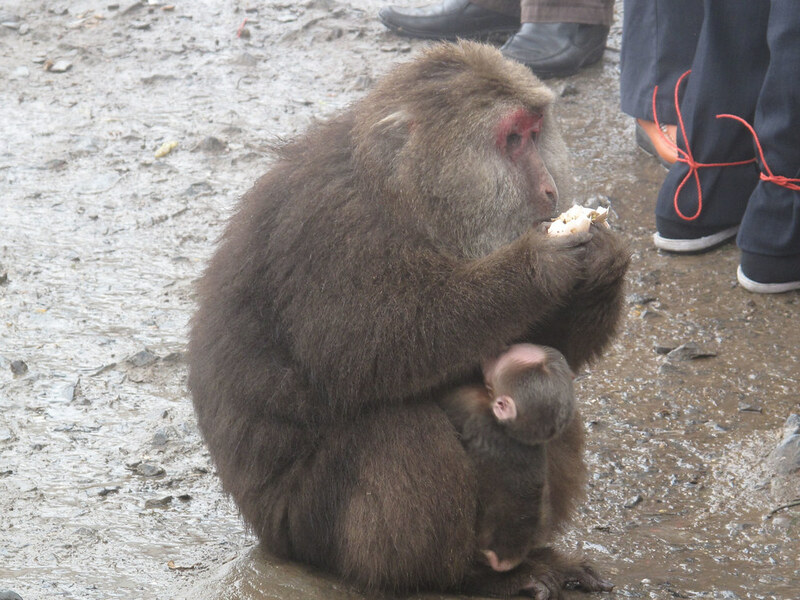 This was due to the monkeys living in the valley along the path. 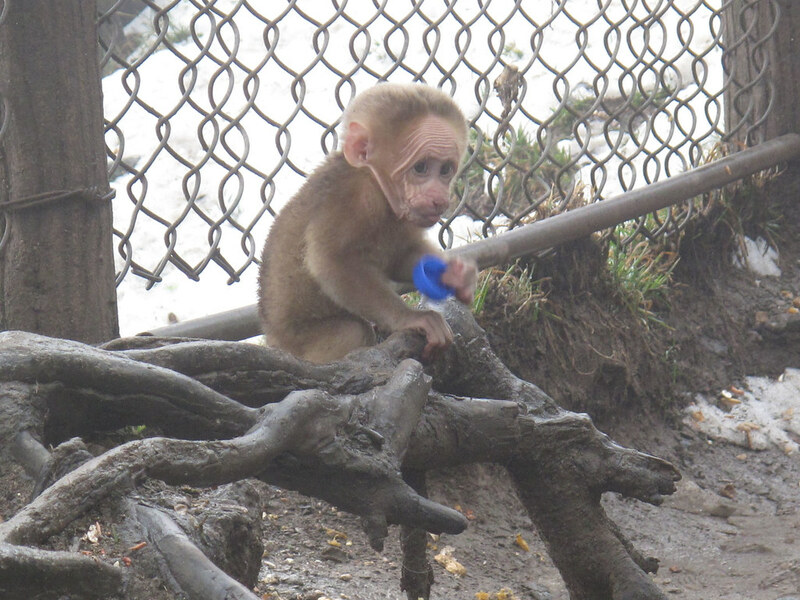 One of my friends ignored the warnings and one of the monkeys actually snatched a boiled egg from her lunch bag! The fog lifted when we got to the summit and eventually the clouds disappeared and all of us got sunburned. The view that met us at the top took me totally by surprised. 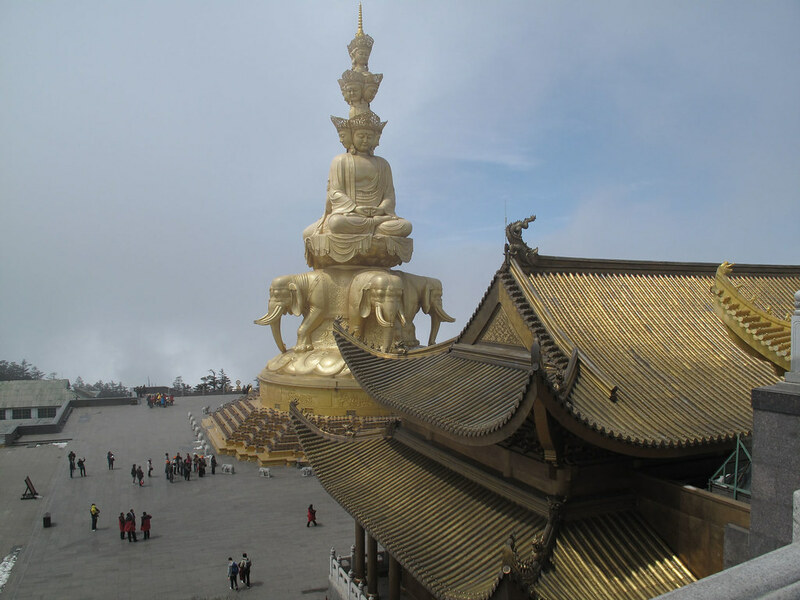 I was told in advance about the huge golden statue and about the temples up there, but my wildest imagination did not prepare me for what I saw when we arrived. The next image will give you a better idea of the size of the thing! We also did some Taiji outside one of the temples with the statue in the background. After Emeishan we went on to Hemingshan. 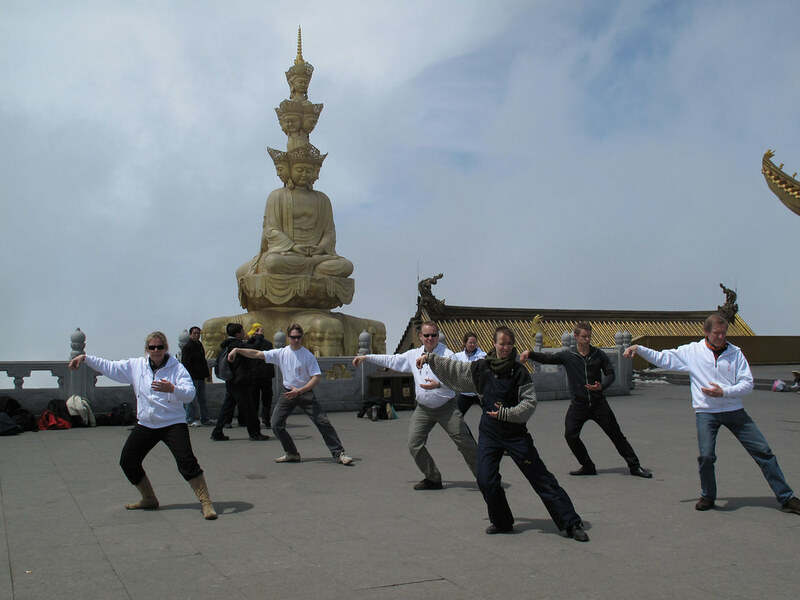 This is a place with great significance for the development of Daoism and consequently also for the development of Taijiquan. We visited a large Daoist center. The center is built by a local business man who made his fortune selling pharmaceuticals developed from local herbs. 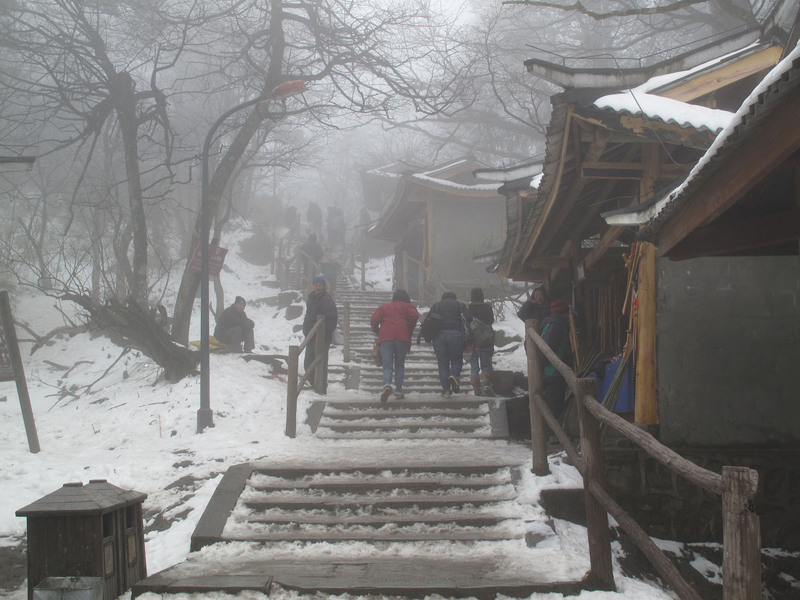 Building the Daoist center is his way of giving something back to the local society. At Hemingshan we also met up with Master Mei from Chengdu. 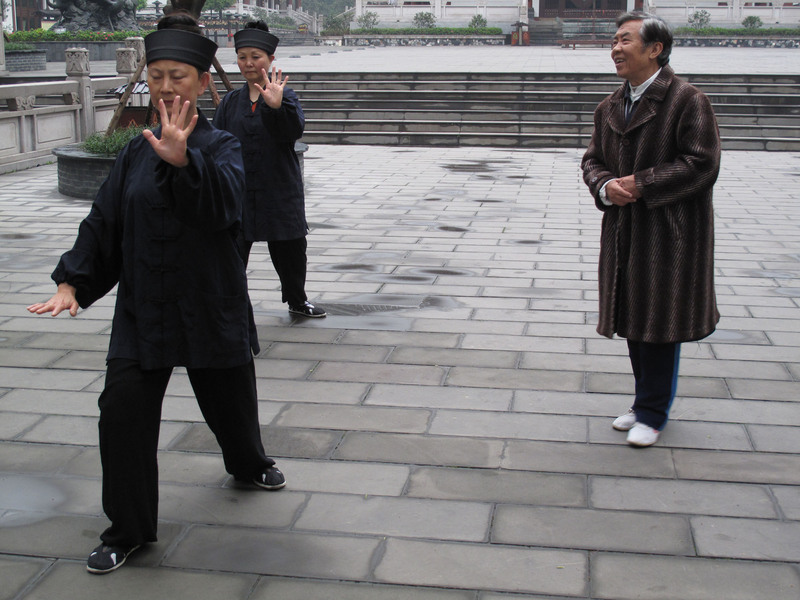 Master Mei is 83 years old and is recognized for reconstructing the original Taijiquan form as it most likely was performed by Zhang Sanfeng. Most of the masters we met on the trip would tell us that their form was the original Taijquan form and that their city or village was the place where it was developed. 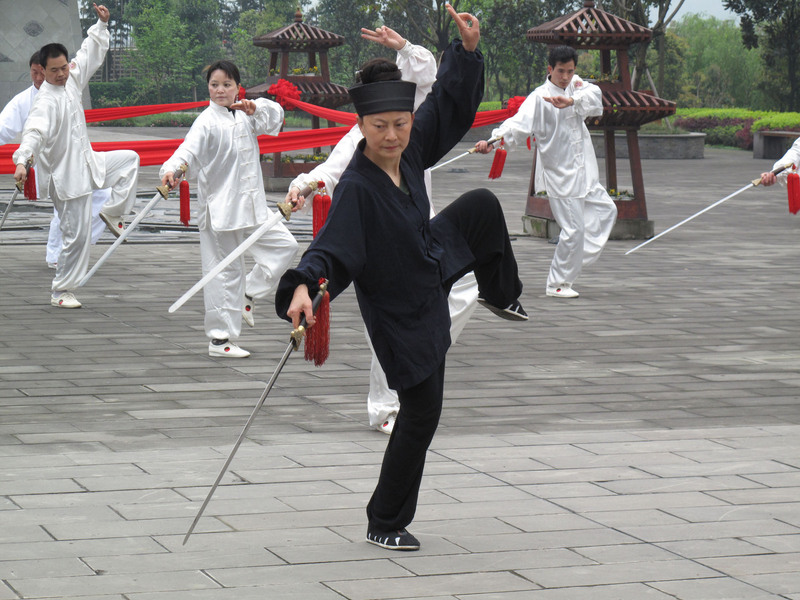 I don’t think anyone truly know the full story of how the soft internal martial art of Taijiquan was created. 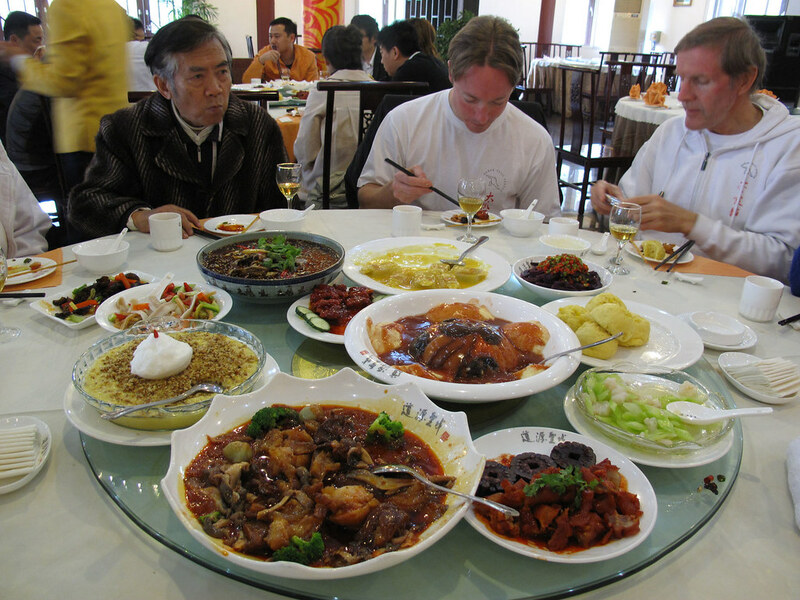 Last but not least I show a picture from one of our meals at Hemingshan. The food on the whole trip is worth a blogpost in itself – at the very least. I’ve never had so much great food in my entire life! The food at Hemingshan was however in a class of its own. We were told that all the courses was prepared based on Daoist principles and that each course could be considered as medicine for body and soul.